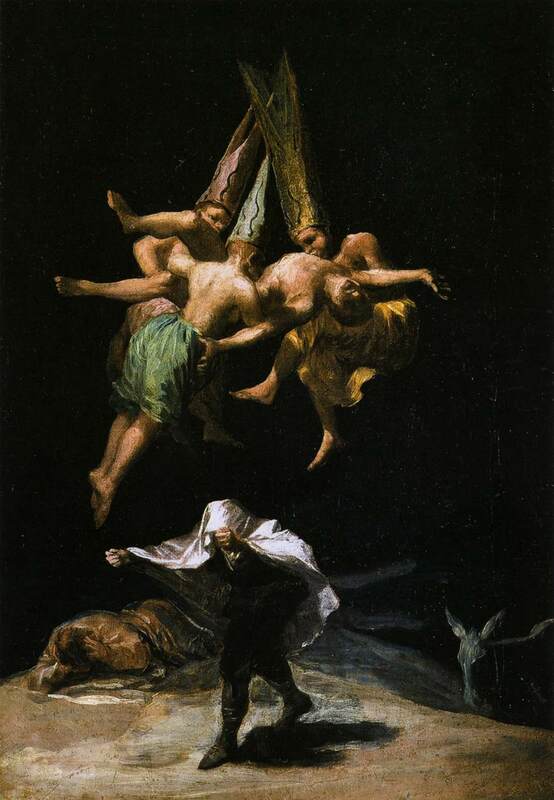 What images are conjured up by the word ‘witch’? Hags silhouetted against the night-sky performing aerial acrobatics on broomsticks or brewing strange potions in a cauldron? Strange old ladies accompanied by black cats? Or children with black pointed hats and painted faces hammering on your door at Halloween and demanding sweets with menaces? For most of us, a witch is just a caricature, a figure of fun. However, history – and the law in particular – tell another story. Often poignant and frequently gory, legal records provide an insight into changing social attitudes to magic through the centuries. Magic – thought to be derived from the Old Persian word “maqush” which means ‘to be able, to have power’. This formed the root of the Ancient Greek word ‘magike’ and the word ‘magos’ which referred to learned men of the priestly class. Remember the Magi or Wise Men in the Bible? Necromancy – ultimately derived from Greek and referring to divination by communication with the dead. For example, the Biblical example of the Witch of Endor who conjured up the spirit of Samuel in order to answer King Saul’s questions about the outcome of a battle. Sorcery – in Medieval Latin, the word sortiarius means “a teller of fortunes by lot”. The words for sorcery (sorcerie) and sorcerer (sorcier) first appeared in medieval French c. 1300. Witch – from Old English ‘wicce’ a female magician or sorceress and ‘wicca’ a wizard who practised magic or witchcraft. Treated as a capital offence in Ancient Greece and Rome, necromancy was punishable by burning. By comparison, the early legal codes of European tribes such as the Franks offered some less stringent forms of punishment including fines. In the Middle Ages, accusations of witchcraft were a useful means of discrediting otherwise guiltless parties and, more importantly, grabbing their assets. Two examples of this can be found in Henry V’s family. His stepmother, Joan of Navarre, had been endowed with a generous sum of 10,000 marks per annum – the largest amount granted to an English queen to date. Although Henry V enjoyed cordial relations with his stepmother, Joan had close French ties while Henry, pursuing expensive campaigns in France was casting covetous eyes on her income. The result? Joan was accused of trying to bring about Henry’s death by means of sorcery and witchcraft. She was arrested and her possessions seized. The benefit to Henry in just 14 months amounted to £8,000 (the modern equivalent of £3,754,800). Joan was never brought to trial and lived under a comfortable form of house arrest until she was pardoned a few weeks before Henry’s death. She now rests beside her husband, Henry IV, in Canterbury Cathedral. Henry V’s sister-in-law, Eleanor of Cobham, was subjected to similar accusations although the outcome was less happy. The daughter of a low-ranking knight, Eleanor had made a love match with Henry’s popular brother, Humphrey duke of Gloucester. The couple amassed great wealth and created a glittering court at Greenwich. Humphrey stood next in line to the throne if his nephew, Henry VI, died unmarried. In an attempt to assess her chances becoming queen, Eleanor consulted an astrologer. She also bought potions from Margery Jourdemayne, the witch of Eye, to help her conceive a child. Unfortunately, rumours of these activities began to circulate, playing into the hands of Humphrey’s enemies. Their first move was to have Eleanor accused of trying to poison the young king by witchcraft. She was forced to divorce Humphrey and to do penance by walking barefoot through the streets of London holding a candle and dressed only in her shift. 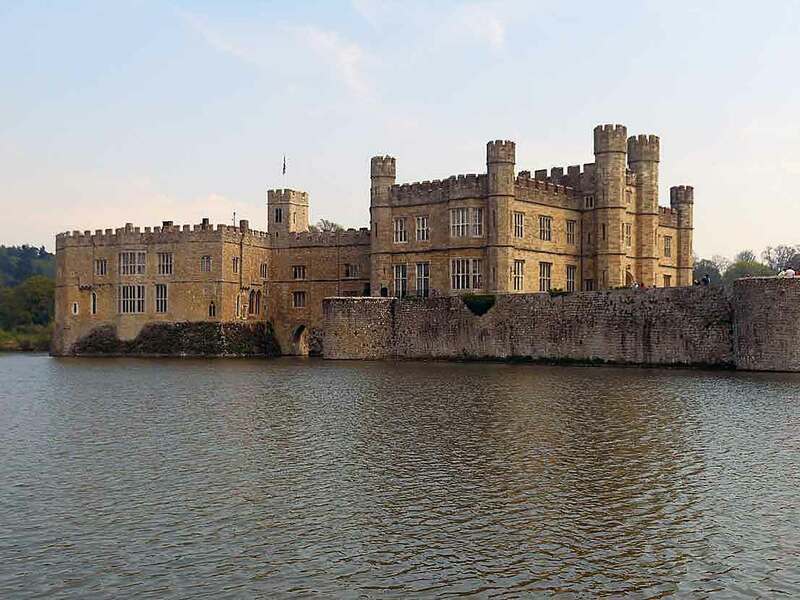 For the next eight years, Eleanor was imprisoned and moved around a succession of castles – all remote from London – until she died, abandoned and forgotten, at Beaumaris. When King James VI returned to Scotland with his Danish bride in 1590, the royal fleet experienced such bad weather that it was forced to divert to Norway where it had to sit out the storm for several weeks. Possibly due to embarrassment and frustration, the Danish admiral blamed the bad weather on the wife of an official in Copenhagen. This resulted in a series of witch trials which began in Denmark and continued in Scotland with the encouragement of King James. So began an ugly two-year episode of accusations, torture, trials and executions at North Berwick. Even the Earl of Bothwell – the king’s cousin and something of a thorn in the royal side – was accused of treasonable necromancy. Fortunately for Bothwell, he managed to force his way into the king’s bedchamber and plead his innocence. He was subsequently pardoned and acquitted at trial. Not so many of the other, humbler accused such as Agnes Sampson, healer and midwife, who was personally questioned by the king and confessed to sorcery under torture. She was garrotted and burned at the stake. The North Berwick witch trials were the first major prosecutions in Scotland under the Witchcraft Act 1563 which treated both the practice of witchcraft and consulting of witches as capital offences. It seems likely that the North Berwick trials only whetted King James’s obsession with witches. In 1593, he wrote a book called Daemonologie a treatise on magic and witches which not only reveals James’s superstitions but also many of the classical sources on which he based his arguments. The 17th century witnessed a spate of witch trials across Europe and America, including the infamous persecutions at Salem. However, while witch trials and hangings were still taking place in provincial Devon in 1682, the Capital seems to have lost its appetite for witch-hunting. Accusations of witchcraft against two elderly women – Jane Kent and Jane Dodson – were dismissed at the Old Bailey in 1682 and 1683. In 1699, the case of Mary Poole indicated the future direction – and downgrading – of witchcraft laws. Poole was a gypsy who appears to have made her living by playing on people’s fears and using sleight of hand to steal their money. The Plaintiff claimed that she “showed him some Juggling Tricks, till she had Juggled away his Money”. Another witness told how she had caused his horse to fall down and had mysteriously appeared at a point in front of him in the road. However, the judge and jury were not taken in by Poole’s prophecies and tricks and found her guilty of grand larceny. It is thought that the last person to be executed for witchcraft was Janet Horne at Dornoch, Scotland in 1727. In 1735, a new Witchcraft Act was passed which, contrary to its title, marked a triumph in enlightened thinking and a shift in the law. At a stroke, the old laws based on a belief in the existence of witches became obsolete. Aiming to punish charlatans who conned gullible people out of their money, the new Act foreshadowed modern consumer law. 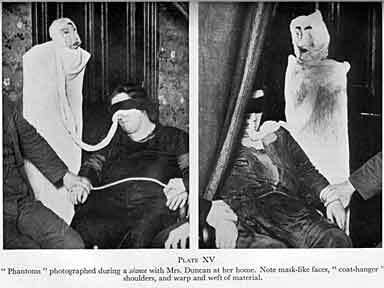 It was even invoked in 1944 in the case of Helen Duncan, a medium whose ‘ectoplasm’ was revealed to be a long length of cheesecloth and who attracted the attention of the naval authorities in war-time by claiming to have had a message from a sailor drowned on HMS Barham. At the time, it was thought that few people knew of the Barham’s sinking, although subsequently it was shown that the news had circulated quite widely and that Duncan had probably picked up the information by listening to gossip. Fearing that she might betray secrets relating to the D-day landings, the military authorities used the Witchcraft Act to get Duncan jailed for 9 months in 1944. In 1951 the Witchcraft Act was repealed and replaced by the Fraudulent Mediums Act which, in turn, was superseded in 2008 by new Consumer Protection Regulations based on an EU directive. As far as the law is concerned, witches no longer exist! This entry was posted in Canterbury, Cathedrals, History, Law, Myth, Witches and tagged Canterbury Cathedral, Duke Humphrey of Gloucester, Eleanor of Cobham, Fraudulen Mediums Act 1951, Halloween, Henry V, Joan of Navarre, Law, Leeds Castle, Margery Jourdemayne, Old Bailey, Salem, witch hunts, witch trials, Witchcraft Act 1735, witches. Bookmark the permalink.